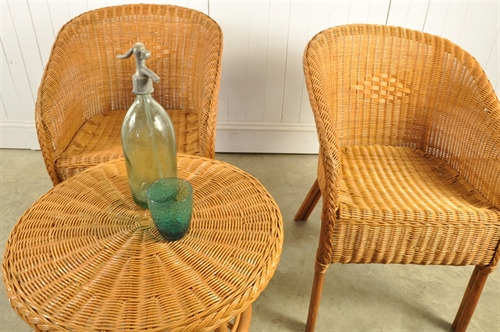 Vintage Rattan Table and Chairs Set - Original House – Decorative Antiques, Vintage Industrial Furniture and Lighting, Cotswolds. 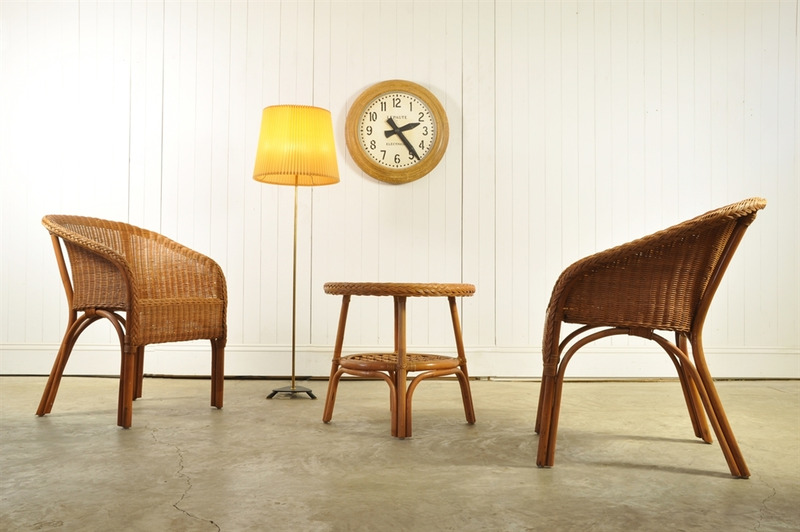 This vintage table and chair set is circa 1970's, sourced in East Germany. 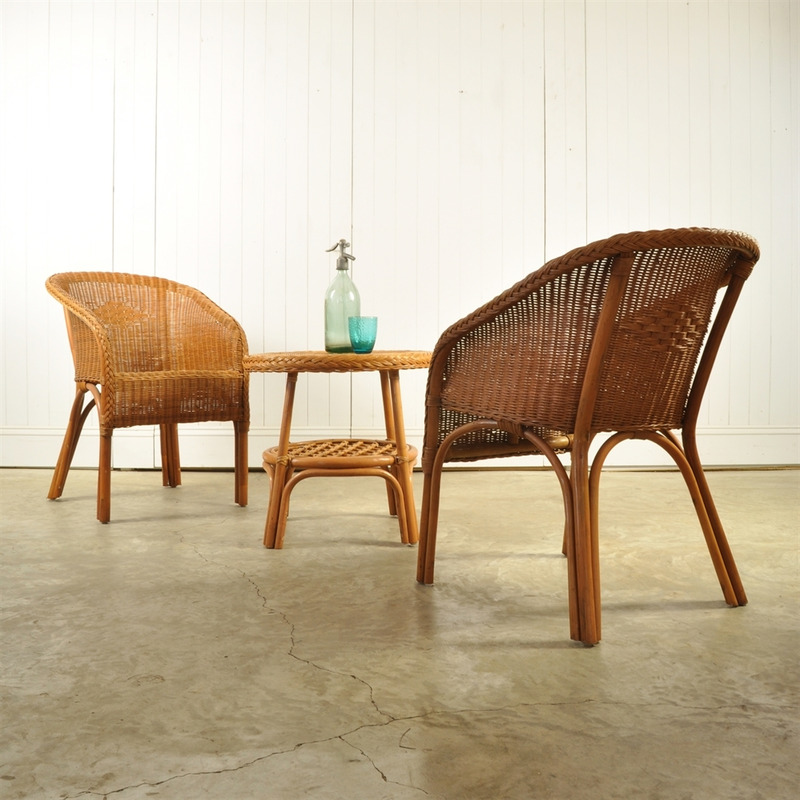 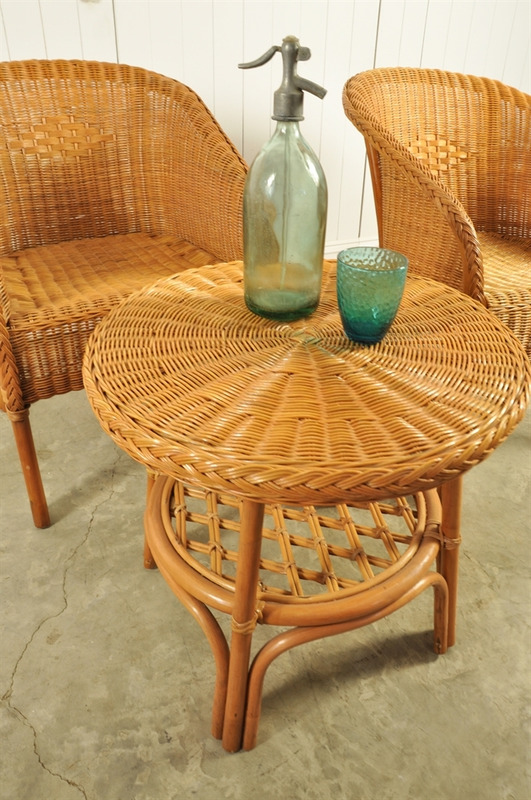 The rattan is in very good usable condition with a few, very small, imperfections. Perfect for outside the kitchen in this lovely weather. Sold as a set - 2 chairs and 1 table. 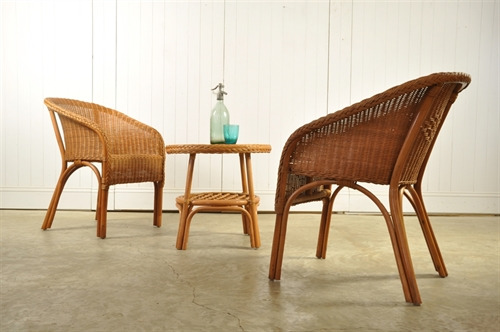 Chairs 80 cm h ( 46 h to seat ) x 58 w x 60 d.
Table 52 cm h x 57 diameter.